This out-of-the-way power vacuum tube was widespread, but relatively rarely used by radio amateurs in theirs home-made transmitters, leastwise I could not find any publication of a practical TX circuit or typical telegraph and AM operation ratings in accessible to me post-1950's HAM radio sources. Perhaps it can be explained by the fact that there was a lot of much more usable tubes of the same power, which became available in those years, but such a lack of information puzzles me anyway. 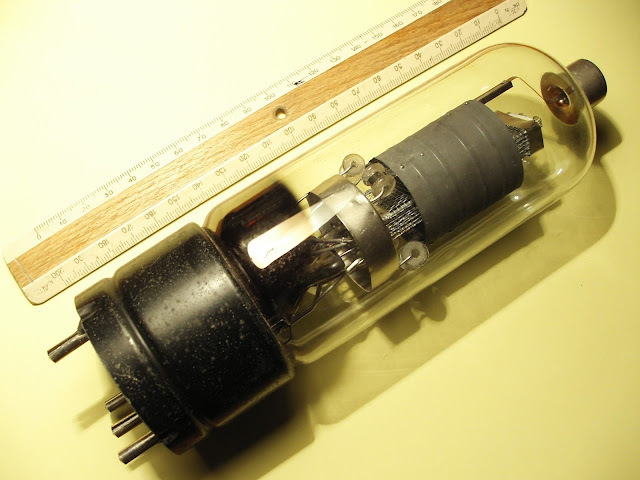 At the same time, among the pirates, GKE-100 tube was very popular, though not considered as the best way to spend a 1500 Volts plate voltage (in comparison with more powerful GK-71 for example).